The TopQuants team is pleased to present the first issue of our 2014 newsletter series. We are happy with the positive feedback received on our March and September 2013 newsletter issues and the increased number of contributions. We encourage you all to contact us with your ideas and submissions which can include technical articles, blogs, surveys, book/article reviews, opinions (e.g. on newly proposed regulations), coverage of interesting events, research results from Masters/PhD work, job internships etc. This issue starts with a presentation by De Nederlandsche Bank (DNB), our host for the upcoming TopQuants Spring event in May 2014. Jon Vogelzang (Supervisor, Risk/ALM) and Jantine Koebrugge (Policy Advisor, Financial Risk Management) share their experiences as being part of the team within DNB that is involved in the preparatory work for the European Single Supervisory Mechanism. Some speakers (Joris van Velsen, Roald Waaijer, Dimphy Hermans, David Schrager, Tony de Graaf, Robert Daniels, Cornelis Oosterlee) from the November 2013 TopQuants Autumn Workshop had enthusiastically responded by providing summaries of their talks and follow up research work which have been included in this issue. The summaries are very much appreciated as they provide a good recap of the talks and also serve as a brief tutorial on that topic. This issue also features five full length articles contributed by people from academia and industry. The first article is by Eric Beutner, Antoon Pelsser and Janina Schweizer from the Maastricht University who update us on their research work in the area of Least Square Monte Carlo (LSMC) method used for pricing complex path dependent options. This is an advancement of their work presented in the first issue of TopQuants newsletter in March 2013. The next two articles are from Deloitte Financial Consultancy Firm. Florian Reuter and Arjan de Ridder highlight the results and findings from the recently conducted Global Model Practice Survey (GMPS) 2013, a biannual initiative from Deloitte that surveys global model practices within financial institutions. This study emphasizes on the increased use of complex models within banks, the associated model risks involved and the need for effective Model Validation teams within banks to manage model risk. In another article, Gerdie Knijp and Niek Crezée compare the metrics of Value-at-Risk (VaR) and Expected Shortfall (ES) with regard to their robustness to different model choices or assumption changes in the model. The backdrop of this study is the proposal by Basel Committee on Banking Supervision to adopt ES as a market risk measure as an alternative to the existing VaR measure. 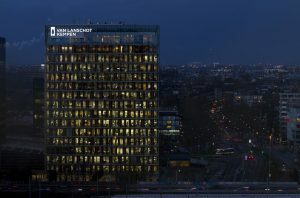 Continuing on regulatory requirements, the Dutch Central Bank (DNB) introduced the Internal Liquidity Adequacy Assessment Process (ILAAP) in the Netherlands beginning June 2011, which is in addition to the liquidity risk management tools within Basel III / CRD IV. Elmo Olieslagers, Bert-Jan Nauta and Aron Kalsbeek from Double Effect, present a working paper on Risk/ALM that recommends the Dutch ILAAP as a liquidity risk management tool for Europe and a potential tool to mitigate gaps in the treatment of liquidity risk within Basel III Pillar II requirements. The last article is by Jeroen Hofman (Front Office Quant, ING bank), who motivates the development of a Graphical Processing Unit (GPU) application for estimation of liabilities in a particular class of variable annuity products, namely the Single Premium Variable Annuities (SPVAs).